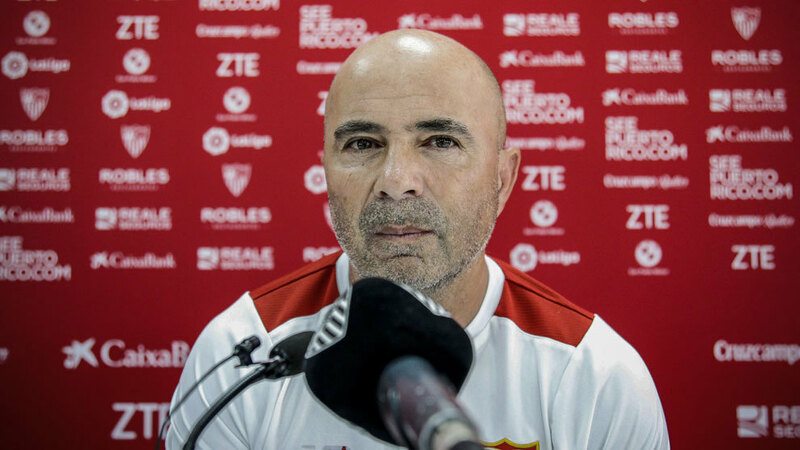 Sevilla visit the Estadio Santiago Bernabeu this weekend with the aim of wrapping up Champions League football for the 2017/18 season, but Jorge Sampaoli is well aware that the match is the toughest his team could possibly face. Labelling Real Madrid the world’s best, he pointed out just how tricky his team found it when they visited the capital in the cup earlier in the season and insisted that they’d have to be at their very best to even stand a chance. “This past week will have influenced them and they’ll be in a very positive mood,” he said of Real Madrid’s Champions League semi-final success. “Right now, they are the best team in the world, fighting to win LaLiga and the Champions League. “We will have to have a very good afternoon to take on this opponent of a very high level. “In Madrid [in the Copa del Rey first leg] we were beaten and we have to learn from that. Despite that realism, he promised that his team would compete in order to earn the one final point they need to seal fourth place, although he denied the LaLiga title race had any influence on Sevilla. “The satisfaction of winning would be for our own sake and for finishing off a good season,” he replied when asked if there would be extra enjoyment from denying Los Blancos the league title. “If would be really good if we can play well and if we have the chance to win, but we’d enjoy it for ourselves, not for [what it means for] our opponent. Sampaoli also discussed the idea of Real Madrid having an A and a B team and pointed out that they are both dangerous for different reasons. “The less frequent starters play with a lot of hunger and then those that play the Champions League matches have so much stature that they’re one of the best teams in the world,” the Argentine told reporters. Finally, he denied that he had been approached about the vacant Barcelona coaching job and also reflected on his team’s injury crisis, confirming that Mariano, Vicente Iborra and Sergio Escudero won’t be fit enough and that Vitolo and Adil Rami are doubtful to return to full fitness in time.